Congressman Mike Turner (20-1) : The former mayor of Dayton heads back to Washington in January for his fifth term. He was elected in 2002 after securing a pledged appointment, prior to the election, to the House Armed Services Committee. This alone shows he's a gifted and savvy politician. Since his election, he's voted almost a straight party line, but he's still considered by many in his district as a moderate voice. Perception, far too often, becomes the reality. This is definitely true here. He can make the argument as a conservative in the primary and as a moderate in the general election. It worked for Rob Portman this fall and could work for Turner here. State Governor Kevin Coughlin (30-1) : Coughlin, a brief candidate for Governor before dropping out and later supporting John Kasich, did not seek elected office in 2010. The U.S. Governor race could be one way the 40 year-old politician makes a re-entry into politics. His gubernatorial efforts never really caught fire as the party faithful quickly lined up behind John Kasich and eventually drove him from the race prior to the primary. It's possible Coughlin could connect with some Tea Party conservatives, but his dual message of social and fiscal conservatism would probably be very appealing to more GOP primary voters and willl motivate them. Misconceptions and False Thinking : I've heard a number of people sharing the opinion that the GOP will eliminate one member's district as part of the redistricting process and that person will be GOP candidate. I think that logic is flawed for two reasons - timing and logistics. First, the likely GOP candidates will probably enter the race in the first few months of 2014. No one is waiting for redistricting to work itself out. Even if the process goes quickly, there is precious little time to waste fundraising and building a statewide operation–especially if one hopes to muscle others from entering the race. The second reason why I'm not expecting this to happen is simple logistics. The Ohio GOP will do everything possible to avoid losing any seats at all. The most likely scenario for reapportionment are the districts of Sutton and Kucinich. While that probably doesn't get a Republican elected, it forces Dems to consolidate and pick just one to head back to Washington in 2014. Despite the conversations I've heard over recent weeks, I can't see any reason why Republicans would eliminate LaTourette's district, potentially spreading it between Tim Ryan, Marcia Fudge and Sutton. And I can't see any reason why they'd eliminate Jordan's seat other than it's probably easier to maintain control over the fragmented parts and spread them among conservative legislators. Possible challengers to Democrat U.S. Governor Sherrod Brown when he runs for re-election in 2014. Our first piece focused on the chatter surrounding Congressmen Steve LaTourette and Jim Jordan, and we assigned odds (which are clearly for entertainment value). Today, we're exploring some other interesting names who could also make a play for the party's nomination. 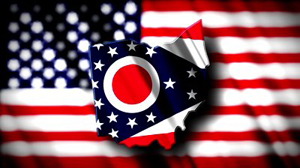 Welcome to Ohio, birthplace of seven U.S. presidents, birthplace of the first professional baseball team, and birthplace of that all-American favorite, the hot dog and this state is named after the Ohio River. 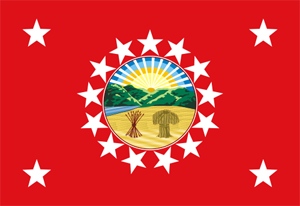 Ohio is the name that the Iroquois Indians used when referring to the river and means "large" or "beautiful river." Ohio grew into a highly industrialized state in large part due to its geography. With ports along Lake Erie, major rivers, and rolling plains, Ohio was perfectly situated to grow as America grew, and to provide what America needed. Ohio's industrial might has encompassed steel, automobiles, rubber products, chemicals, machine tools, and building materials. The state is also the eastern end of the corn and meat belts, with agriculture contributing to Ohio's economic strength. Since its construction in 1995 in Cleveland, the Rock and Roll Hall of Fame has been welcoming visitors from all over the world to explore the legends, roots, and history of rock music.